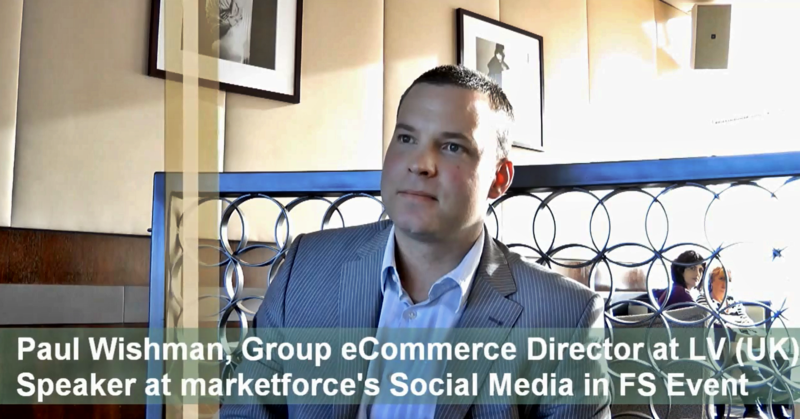 I invite you to watch my video interview on social media and digital engagement with the Group eCommerce Director at LV=. On 21st March 2012, we will both be contributing to my fourth marketforce event in the UK, this time the whole event is dedicated to social media in financial services. I am aiming to record a series of video interviews with all my fellow speakers from the financial services industry. Last Thursday, I met Paul Wishman at the Hilton Park Lane just a few hours before the eConsultancy awards ceremony where he and his team were nominated. I very much enjoyed my chat with Paul, a veteran of the online brokerage world who gave digital entrepreneurship a go at arguably the most exciting times of all, the late 90s / early 2000s. Since Paul started at LV, about five years ago (pretty much at the same time I launched the Visible Banking blog), him and his team accomplished a lot. They helped Liverpool Victoria to finally enter the online age and experience ‘digital engagement without borders‘. I invite you to watch my video with Paul. Come and join us on 21 March, you will have a unique opportunity to connect with Paul, myself and the other speakers and ask us all your questions on social media strategy and digital engagement. I would like to remind you that the readers of Visible Banking can enjoy a 10% discount on their tickets. And I still have a couple of 15% discount vouchers to share with you… You will find more info HERE.